As early as 10,40 € month financing with a maximum maturity of 12 months; total amount 124,90 €; Bound annual borrowing rate 0,00 %, effect. APR 0,00 %. These figures are also the representative example in the sense of §. 6a paragraph 4 PAngV Agencies are exclusively by BNP Paribas S.A. Niederlassung Deutschland, Standort München: Schwanthalerstr. 31, 80336 München. 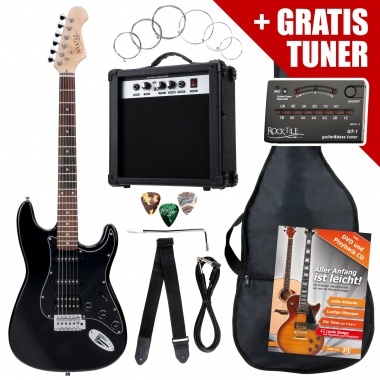 Worry-free package for the entry into the rock guitar world! 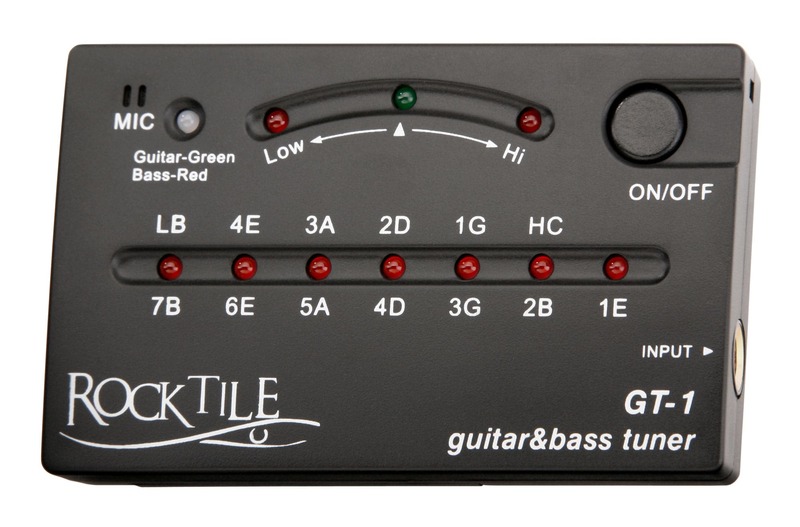 The Rocktile ST Pack E-Guitar is perfect for those who want to skip the lengthy search to get everything together for playing electric guitar. This 8-piece set with a bonus FREE tuner will make sure you are fully equipped at an amazing price! 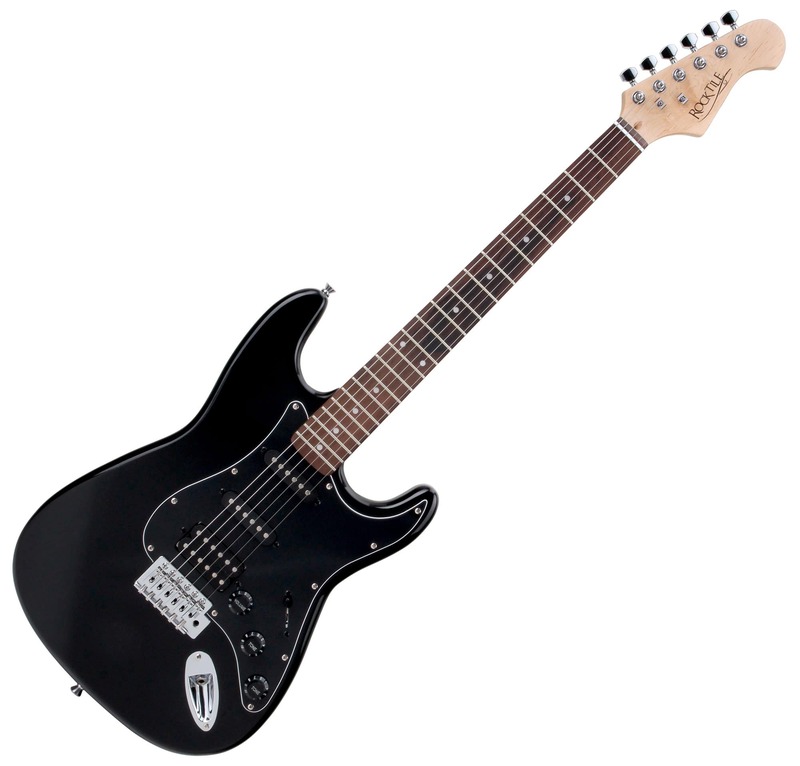 This classic ST Rocktile electric guitar not only looks good with its black glossy finish, it also sounds good. With the 5-way pickup selector switch, you can combine sounds from the three single-coil pickups to cover sounds from rock to jazz. 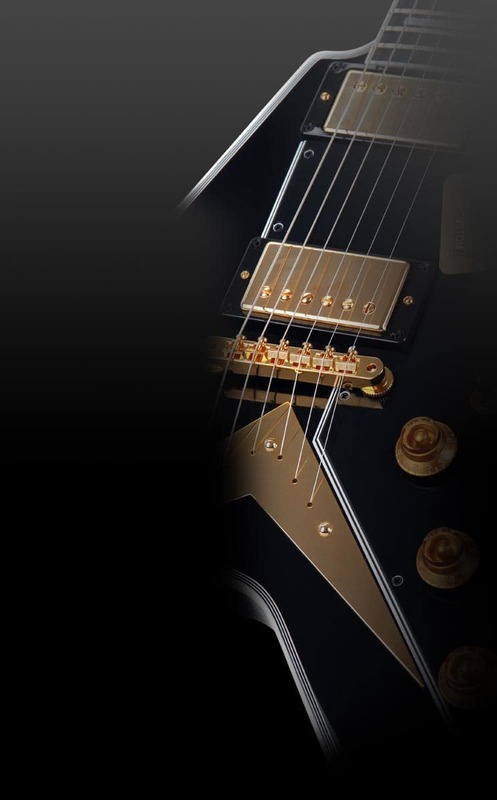 With the volume and the two tone controls, you can add fine nuances to your sound. 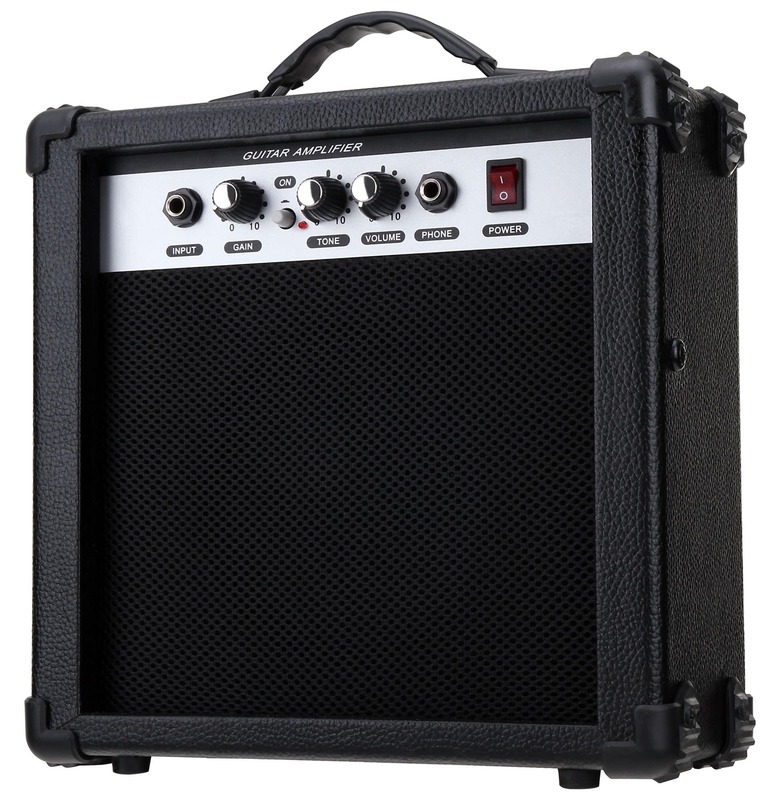 The included 10-watt amplifier delivers enough sound to make the neighbors ears perk up, making it perfect for practice sessions at home or in the rehearsal room. In addition to a gain control with boost switch for heavy distortion, the amplifier has tone and volume controls. A headphone jack on the front panel allows you practice into the late hours worry-free. When the headphones are plugged in, the speakers are automatically turned off. 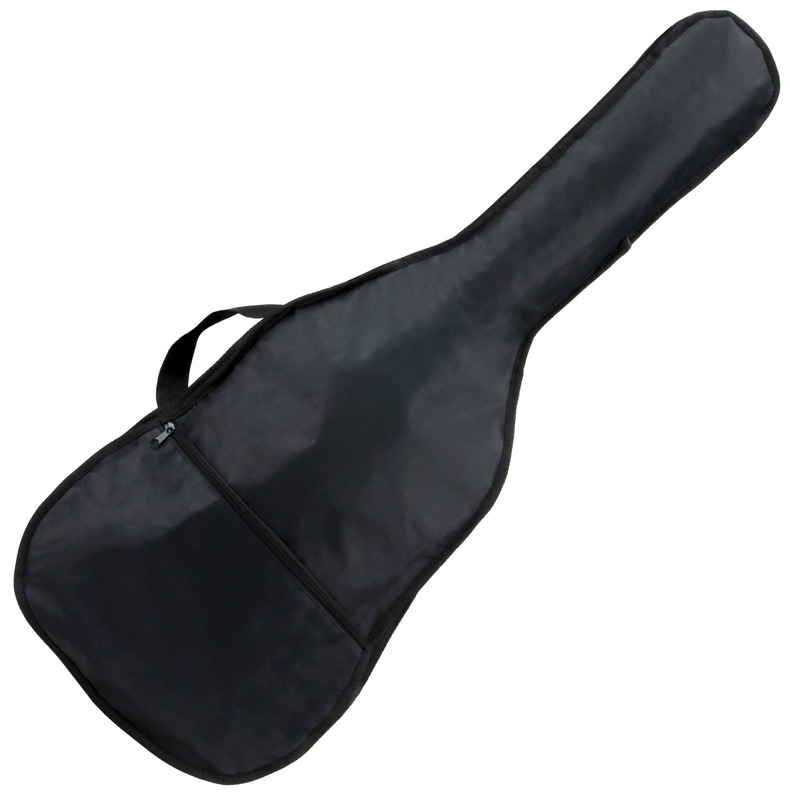 Your order also includes a practical guitar bag with backpack straps, a tuner, one pack of extra guitar strings, a jack connection cable, a guitar strap and a tremolo arm. Die wahre kam in Einwand freiem Zustand. Die Lieferung war dürftig mit kaputten und nassen kartongst Wahre war aber unbeschädigt und die lieferzeiten waren echt die schlimmsten .Wäre vielleicht nicht schlecht mit mehreren Paket Diensten zu arbeiten die man wählen kann . vielen dank nochmal, sehr schnelle lieferung und die online bestellung war reibungslos. jederzeit wieder und funktioniert alles perfekt. Lieferung ging schnell und unkompliziert.Die E-Gitarre konnten wir noch nicht ausprobieren, denn die erst am Weihnachten verschenkt wird. Informacion, servicio, calidad a un precio muy ajustado. Envio rápido, puntual, seguro y con gran cobfiabilidad. 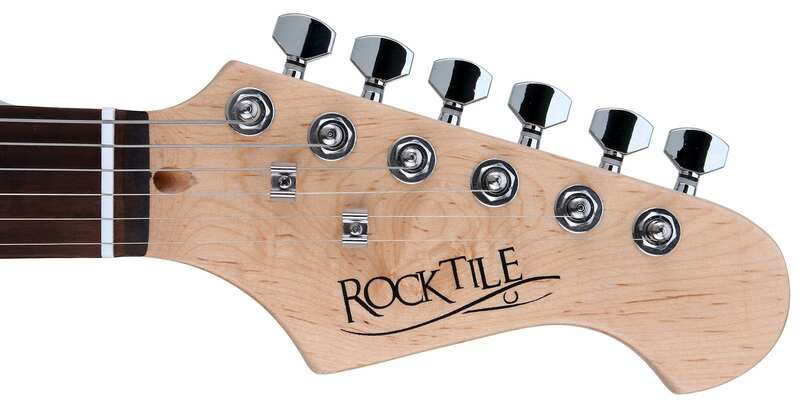 Also, die Gitarre von selbst ist okay. Verstärker ist leider zu schwach und am Ende bekommt man nicht die Sound die man erwartet hat. Mein Rat lieber ein bisschen sparen und was besseres kaufen. Das Geschäft an sich ist sehr gut. Alles wurde schnell abgeschickt und super verpackt ! Preis Leistungsverhältnis stimmt, sehr gut fůrEinsteiger. 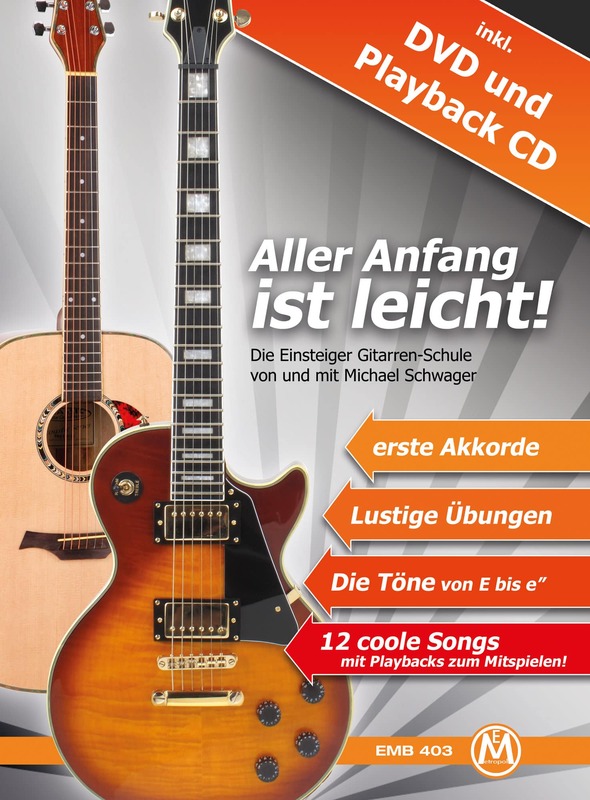 DIE Gitarre kling gut, Verstärker für Zuhause völlig ausreichend. Gesamtergebnis - alles Gut !